Learn how to protect yourself from the American criminal justice system. And why you need to! 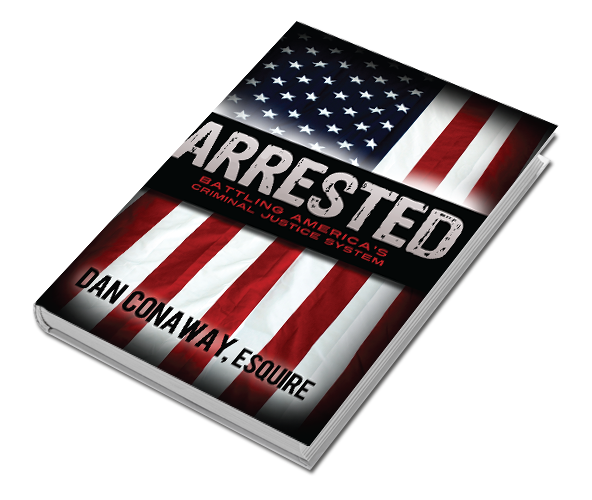 Arrested: Battling America’s Criminal Justice System is not a book for just anyone. After all, if you’re a career criminal with no remorse, it probably won’t help you—but it could. If, on the other hand, you are a good, decent, law-abiding citizen who happened to be in the wrong place at the wrong time—or know someone who was—or you just want to know more about the American criminal justice system, this book is definitely for you. 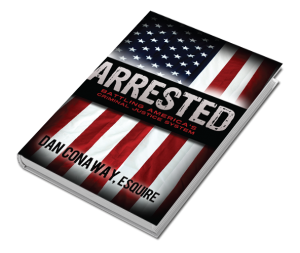 Practicing criminal defense attorney Dan Conaway has written Arrested to help us all understand our rights and responsibilities as upstanding citizens of the country we live in. • What should you say if a police officer stops you to ask “just a few quick questions”? • Why does it take so long for most cases to go to trial? • How can you help a family member who has been accused of a crime? Although not intended as a substitute for professional legal counsel, Arrested can be used as a guide as you work your way through the maze of one of the most complicated systems on the planet. With the help of fact-based scenarios, Conaway shows us all what could happen to any of us if we’re not careful. Along with explanations of how we have become a “zero-tolerance” society—as well as the good and bad inherent in that label—and practical, real-life examples to learn from, Arrested will give you both the background and the foresight to know how to handle yourself in almost any situation.